The lovely little village of Wakefield is half an hour drive south of Nelson. It is a delightful rural enclave in the Tasman region. Wakefield is central to the Tasman region's three stunning national parks - Nelson Lakes, Kahurangi and the Abel Tasman. Wakefield has a wonderful sense of history. Wakefield Primary School is New Zealand's oldest school and has been in continuous use since 1843. The picturesque St John's Church, built in 1864, is New Zealand's second oldest surviving church. With a pleasant village atmosphere, Wakefield is self-sufficient with its own small supermarket, cafes, tearooms, pharmacy, hairdressers, doctors' surgery, vets, community library, toy library, a hotel, farm stores and even a police station. The region is packed with museums, art and craft galleries, vineyards and outdoor pursuit facilities. Welcome to the great outdoors. Wakefield and the surrounding Tasman region offers walking, tramping, horse riding, cycling and alpine sport opportunities. The winding valley roads are a playground for cyclists and the Tasman coastline has lovely swimming beaches. The many rivers are very popular for swimming and diving. Wakefield has tennis courts, a cool bike park and a pretty golf course. 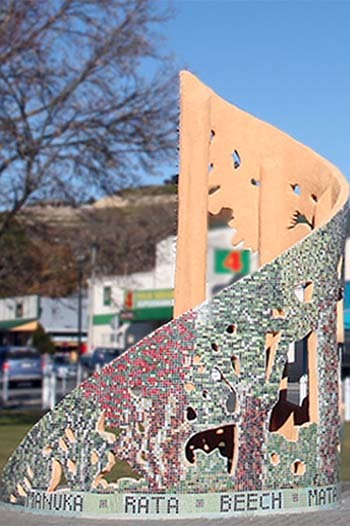 The fabulous Tasman Great Taste Cycle Trail goes right through Wakefield. 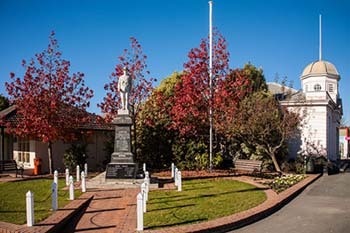 The village parks, Faulkner Bush, Waikari Reserve and Edward Baigent Reserve are popular camping and picnic areas. These parks are home to some of the very few remaining areas of podocarp forest that once covered the Waimea Plains. Take a stroll through the lush vegetation, listening to the tuneful calls of tuis and bellbirds, marvel at the colour and antics of the keruru and enjoy the sweet fresh air. If you're feeling energetic continue up the terrace track to the lookout with great bird's-eye views over the village to the Waimea inlet and over to Nelson. Higgins Park is home to the Pigeon Valley Steam Museum, Rover Car Club, Nelson Vintage Engine and Machinery Club and the Historic Transport Museum Trust. The park is 'on steam' the first Sunday of every month with rides available behind the Traction Engine and around the Bush Tramway on the Rail Jigger. The park is always open to the public and is a great place to take a picnic and let the littlies play on the playground. If looking for a luxury bed and breakfast in Wakefield click here for the Snowball Manor or look at the vacancy list below for other Wakefield accommodation options.